From Infinity to Beyond . . . 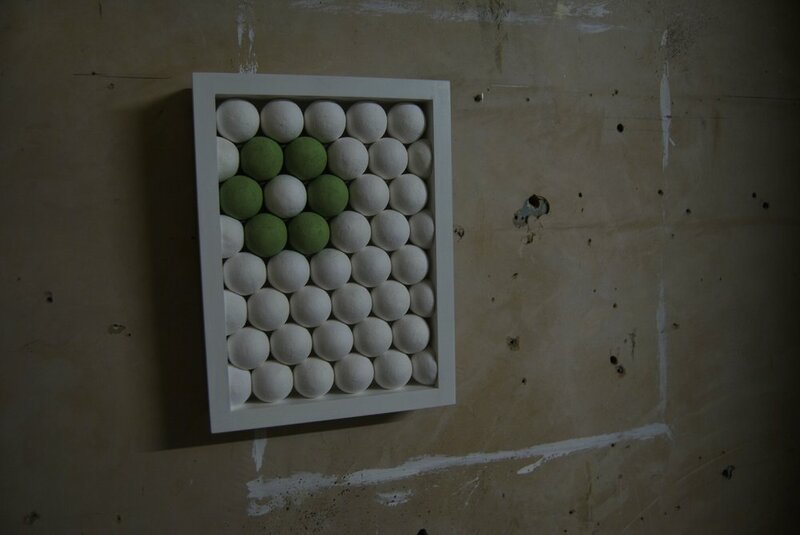 This week's post comes from artist Dominic Hopkinson whose work has graced BasementArtsProject twice in recent years: A Harmony of Spheres | April 2015 and A Study of Aperiodic Tiling with special reference to the 3rd dimension | April 2016. 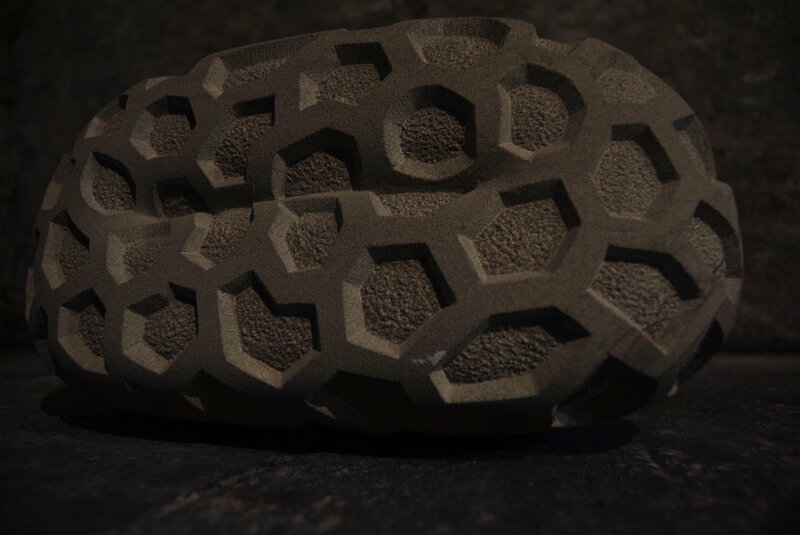 Hopkinson, who has worked as a technician on large scale sculptural projects with the likes of Peter Randall-Page, describes here his direction of travel since realising his exhibitions with BasementArtsProject over the last couple of years. 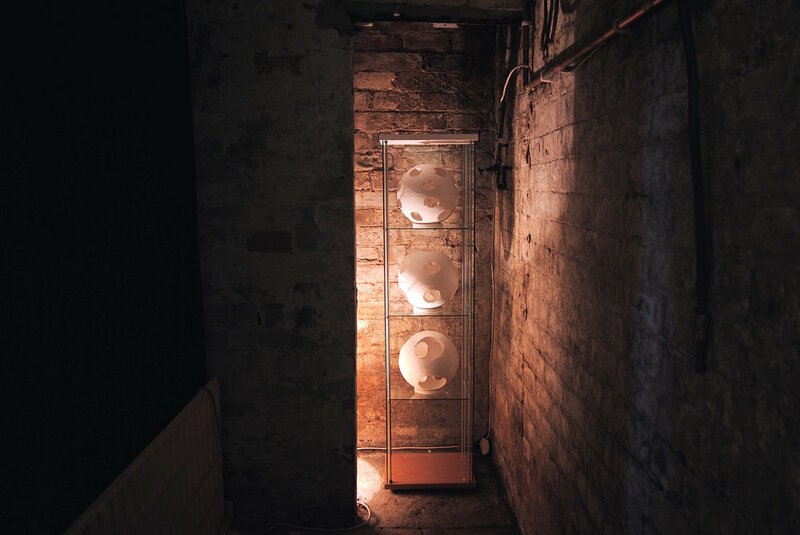 BasementArtsProject flies under the radar of most large scale public art spaces in Leeds, yet maybe because of this, or despite this, it punches above it’s weight, showing an eclectic range of work from student/early career artists to the well established. I first came across the space in 2015 and Bruce and I set about organising a show of my work. Having a curator you trust, with the right kind of critical eye is vital in getting the best out of an artist, and Bruce’s approach was just such a process. Out of the show, entitled “A Harmony of Spheres” Bruce wrote up an interview about the work and got it published on the 3rd dimension website, a process I had not undergone with previous exhibitions. While many would scoff at such a distinction it has proven valuable to my subsequent career, since my acceptance into the society has led to an invitation to show at a sculpture park in the Cotswolds, selling work there and latterly an invitation to exhibit a piece of work at the 2018 Venice Architecture Biennale, curated by Global Art Affairs and supported by the European Cultural Centre. 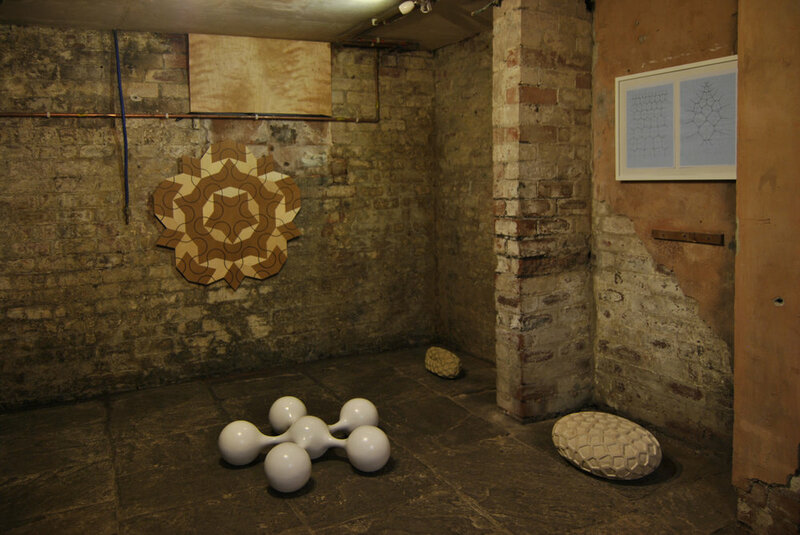 A second exhibition at BasementArtsProject in 2016 entitled “A Study of Aperiodic Tiling With Special Reference to the 3rd Dimension” underscored how the curation of the space is capable of moving quickly, following up on previous work and exhibitions and providing a valuable mechanism for artists to explore themes over time. The 2018 Venice Architecture Biennale exhibition opens at the end of May in Palazzo Mora, and Palazzo Bembo, Venice. What creates form? What creates space? Is there a ubiquitous mechanism that underpins all physical processes? Artists, engineers, architects, and designers all create shape, form and space, yet this process also happens spontaneously in nature. The wind forms ripples in sand and water, the dynamics of the atmosphere generates clouds. All animals and plants grow, create structure, occupy space according to rules and processes defined within their DNA. Atoms align into crystals with explicit geometries, the matter in the universe is strangely evenly distributed in space, space and time are the same thing. 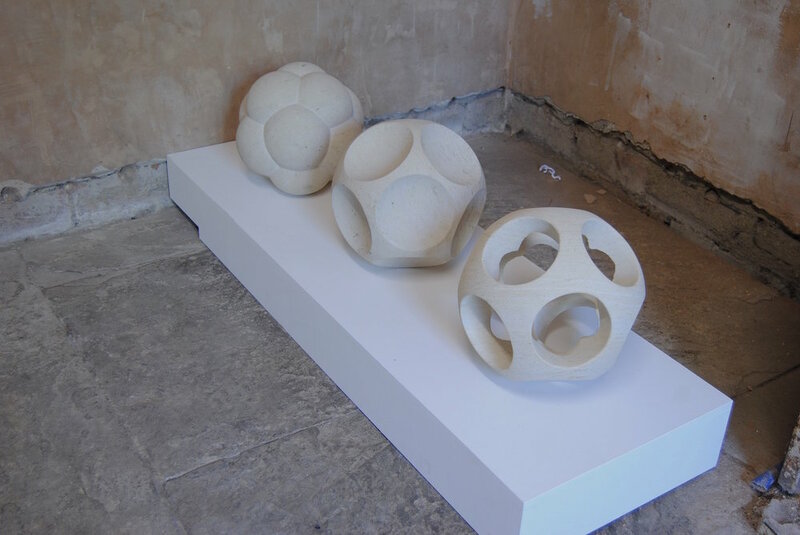 As a sculptor I attempt to study this creative mechanism as it is relevant to different scales: is it possible to define this mechanism as mathematics, and if so, can my working process function as an algorithm in its own right, to make sculpture that follows a simple set of mathematical rules, trusting the maths to deliver a satisfying outcome? Utilising traditional materials and techniques, I define a set of mathematical rules or parameters, that become my process, guiding the final outcome. All my work is handmade, eschewing the use of contemporary fabrication methods, such as laser cutting and 3d printing. I have to rely on my haptic skills and the mathematical rules to generate form that, despite being abstract in every sense, also has the ability to engage and interest the viewer. I believe this engagement is an act of self-recognition which occurs because mathematics is the fundamental basis for the creation of structure in nature. Collaborative research plays a major role in my process, recently spending a year as Artist in Residence at University of Leeds, School of Mathematics, working with Prof. Alastair Rucklidge and Dr. Priya Subramanian, studying aperiodic tiling systems in 2 and 3dimensional space. The work presented utilises this tiling and is analogous to how the atomic structures of quasi-crystals are created, each “point” representing the location of an atom. This tiling system relies heavily on a particular number, 1.61803… an irrational number, known as phi (also known as the Golden Ratio) that occurs whenever nature begins to build structure. It seems to be fundamental at all scales, across a bewildering range of phenomena. It forms the foundation of most of my work. Hopkinson has agreed to write for the BasementArtsProject Studio Journal again once the Venice Architecture Biennale has opened it's doors to the public to report on his experience of this event.